Whether you’re self-publishing, sending out query letters, or holding out for your dream publisher, odds are you already know how important promotion is for selling your book-to-be. True, signing with a publisher might lighten your load, but don’t count on it. These days, even the big houses require some elbow grease from their authors when it comes to publicity. You should be prepared to assemble your own press kit for potential reviewers in case you get little help in this area. If nothing else, it will show that you mean business and you’re not out to waste anyone’s time. If you are self-publishing, it is a sheer necessity. What Goes Into a Press Kit? Press kits exist to get people interested in taking about, writing about and selling your book. They are intended for prospective reviewers, bloggers, socially connected friends and colleagues, media outlets, and bookstores you’re trying to woo. 1) A personalized cover letter, no more than one page, written on your publisher’s or your own letterhead, to introduce you and your topic to the recipient. If you’ve already met, include a nice reminder of the last time you saw each other. Did they happen to ask for a copy of the book during that chat? Even better! Mention it. Are you an active blogger with influential online friends? Great! They get kits with personalized cover letters. So do close friends and relatives in relevant industries. These are the very people most likely to talk about your book—they should know what they’re talking about! 2) The latest press release revealing the release date of your book. Write a catchy description and an artist’s statement, complete with your accomplishments, accolades, awards, and publications. This can be the same bio and summary you use on the back of the book, but add a little something extra. Just like your book, your press release faces heavy competition before it is picked up. Don’t forget to include the book’s title, author, ISBN, price and format on every page of the packet, in case materials get separated. 3) Endorsements from other published writers or experts on the subject of your book. If you don’t have any, don’t worry. Start getting in touch with people in your field who know you and would be willing to provide a blurb on your behalf. Don’t have these relationships? Start to forge them. It’s not as hard as you think, once you get past a few hurdles. You can always add blurbs to your kit later, along with any reviews you pick up along the way. 4) A full-page color image of your book’s cover. If you don’t have the cover laid out yet, try to at least settle on an image for preliminary publicity. Then you can print out a sample of this image with your name and your book’s title on it and include a disclaimer like “Layout in Progress” or “Final Design Pending.” After all, a picture is worth a thousand words … or hopefully at least a few hundred for a capsule review! 5) A full-page color image of your author photo. Spring for a professional pic that can follow you throughout the book’s promotion. It will go with you everywhere, and many people will actually request it if not included. Pre-empt them with a stellar headshot. 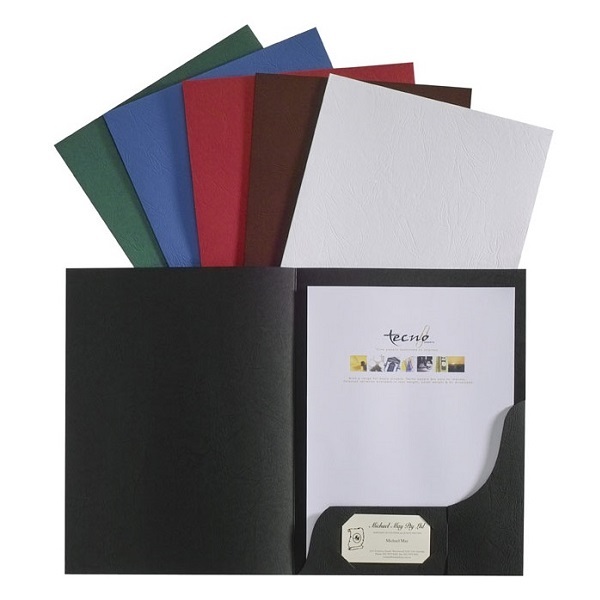 When you have gathered all your materials and printed them on heavy bond paper, put them together in a two-pocket portfolio with a built-in slot for your business card. Attach the image of your book cover to the front. Enclose a hard copy, bound galley if you have them. Many places will even accept electronic copies, which you can place on a disc or USB drive. Remember that presentation goes a long way in promotion, and a professional-looking package shows not only courtesy toward the recipient, but respect for the book itself. Have you put together a press kit that landed you reviews? Kimberly C. Steele is a freelance writer and small-press publisher living and working in Philadelphia and New York. When she’s not reading manuscripts, writing poems, or brainstorming short story ideas, she is researching the next big trends in copywriting and trying to cultivate a green thumb.